The farming grants, farm loans and assistance featured below include funding for farmers, ranchers and other agricultural initiatives from both public and private sources. Resources are available for new and existing farm businesses and projects. Please submit any new or additional funding opportunities for sustainable farming too. Clif Bar Family Foundation awards small grants to grassroots organizations for general organizational support or to fund specific projects for positive change related to food systems, environment, outdoor activity and community development. Grant award maximum: $8,000. Open to 501c3 nonprofit organizations or groups fiscally-sponsored by a 501c3. Quarterly deadlines: February 15, May 15, August 15, and November 1. ﻿urrent guide to finding and applying for fame grants including private and public grants, research grants, cost share programs and loans. An index of programs including grants, loans, technical assistance and informational resources for farmers, entrepreneurs, community developers, private landowners, conservationists, private and public organizations, for-profits and non-profits. Sustainable Agriculture Research & Agriculture's (SARE) farming grants for farmers, ranchers researchers, agricultural educators and students by U.S. regions as well as by eligible applicants. Individual links to State Departments of Agriculture so you can identify current and available state-specific financial assistance programs for farmers and agriculture projects. See also Rural Development Field offices for contact information and websites or the new eXtension, an interactive learning platform complementing the community-based Cooperative Extension System to find local/regional partners and funding assistance availability where you are located. Funding for family farmers transitioning to pasture-based systems, improving the marketing of their humane products, or enriching the conditions in which farm animals are raised. Project Maximum Award: up to $2,500 to at least 15 farmers. The application period opens in September. Applications are November 1 and grants awarded in March. The RSF Seed funds provides small grants between $500 and $5,000 to new nonprofit initiatives consistent with RSF's mission and addressing specific focus areas including Food & Agriculture. Check out RSF's Loan Program too. USDA REAP grants up to 25 percent of total project costs and loan guarantees up to 75 percent of total project costs for renewable energy systems and energy efficiency improvements. **Update** The REAP application window has been expanded and will now accept and review loan and grant applications year-round. Small farming grants specifically for strengthening the local food system by supporting female farmers, ranchers and processors who provide sustainable solutions for production or market obstacles in the High Country of TN and NC. Applications are typically released in fall and announced in winter. Project Maximum Award: $2,000. **NEW** BRWIA's Direct to Farmers Grants: Funding available to local farmers in Alleghany, Ashe, Wilkes, and Watauga counties in North Carolina and Johnson County, Tennessee. The USDA Farm to School Grant Program assists in implementing farm to school programs that improve access to local foods in eligible schools. Four types of applications will be accepted for (1) Planning: $20,000 - $45,000 (2) Implementation and (3) Support Services: $65,000 - $100,000 and (4) Training: $15,000 - $50,000 and include funding for operations, planning, equipment, school gardens, and more. Annie’s Grants for Gardens donates to schools and other educational programs that help build our schools' gardens. This program has directly funded more than 350 gardens nationwide. For new and expanding gardens. The next grant application cycle opens November 2016.
beginning in farming or ranching. See More Farm Employment Opportunities Specifically for Veterans. 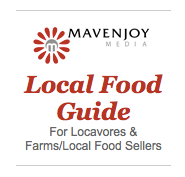 Provides long-term loans at lower rates of interest for small, local, independent producers. Loans range from $1,000 to $100,000 to expand business production (maximum amount for start-ups is $25,000). **Update** Whole Foods commits another $25 Million in loans to local growers, producers and food artisans. The USDA Farm Service Agency's Direct Farm Operating Loan and Direct Farm Ownership Loan provide loans to family farmers and ranchers up to $300,000 with no down payment requirements. Other direct loan programs from the FSA include emergency, beginning, minority and youth farm loans. The Equity Trust Fund makes loans that promote equity as it relates to holding property including the protection of land for agriculture and farm viability for community benefit. Loans typically range from $5,0000 to $150,000. Priority is given to applications where primary beneficiaries are low or moderate income individuals or communities, projects creating permanent affordability, community-based grassroots projects, and non-profit borrowers. The CRP program helps protect the nation's natural resources through voluntary participation, while providing significant economic and environmental benefits to rural communities across the United States. Accepted producers may receive cost-share assistance to plant long-term, resource-conserving covers and receive an annual rental payment for the length of the contract. Includes information for continuous CRP programs such as the "Highly Erodible Land Initiative" and "Initiative to Restore Grasslands, Wetlands and Wildlife" and more. FSA farm loan funds that are specifically targeted to Socially Disadvantaged Applicants (SDA), which include women, African-Americans, Alaskan Natives, American Indians, Hispanics, Asians, Native Hawaiians and Pacific Islanders. These funds are available as guaranteed loans, direct operating loans and direct farm ownership loans. The Farm Credit System is a nationwide network of borrower-owned lenders and specialized service organizations that provide loans, leases, and related services to farmers, ranchers, rural homeowners, aquatic producers, timber harvesters, agribusinesses, and agricultural and rural utility cooperatives. Our roundup of farming grants, loans and other support specifically for starting a farm, small farm business or other agriculture initiative. Our collection of financing sources and resources specifically for small-scale farming + organic farming grants, loans and more. Check out our round-up of apprenticeships, internships, training and jobs in farming. Start, grow, fund, or promote your farmers market with these resources. Community Supported Agriculture is the mother lode of good food -- find one or start one where you live. Have we missed a good one? Or maybe you've heard about a new farming grant or support for sustainable agriculture? We'd love to learn about additional funding opportunities and resources for supporting sustainable farming, please add it below to our growing list. Feel free to share other helpful tips and details about this resource too.